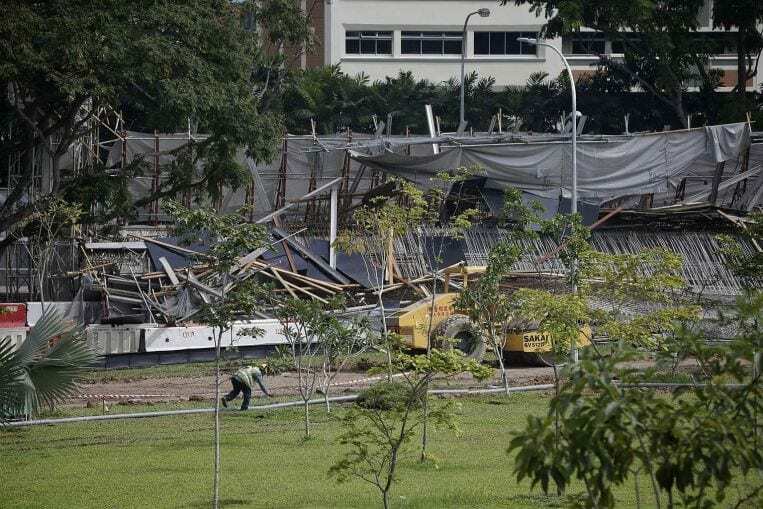 The consultant who designed the Pan-Island Expressway (PIE) viaduct that collapsed on July 14 is also the supervisor who checked the construction works, The Straits Times has learnt. While industry experts said it is not uncommon or illegal for the same person to hold two roles, several added they hope the authorities will review this arrangement as it may pose conflicts of interest. A spokesman for CPG Consultants – a subcontractor to the main employer Or Kim Peow (OKP) Contractors in building the viaduct – told ST that the qualified person (QP)is Dr Robert Arianto Tjandra. “CPG Consultants, including Dr Tjandra and other key project stakeholders, have been working closely with the Land Transport Authority (LTA) and the relevant authorities to carry out detailed investigations,” said the spokesman. In general, design and supervision QPs are responsible for coming up with building plans and checking that construction works are carried out as specified. Supervision QPs also typically direct a team of qualified site supervisors to carry out checks. Typically, the QP’s load calculations are double- checked by an independent accredited checker (AC). The AC in the Upper Changi Road East work site is Calibre Consulting Singapore, LTA tender documents show. Building and project management experts told ST it is common for the QP to oversee design and supervision. But this creates possible conflicts of interest, they added. The worry about conflicts of interest has long been a “fundamental issue” in the construction industry, noted Dr Goh Yang Miang of the National University of Singapore’s Department of Building. After the 2004 Nicoll Highway collapse, found to be due to critical design errors, rules were changed so the supervising QP cannot be a partner, officer or employee of the developer and builder. In the PIE case, the QP is from a subcontractor of the builder, which is allowed. The viaduct collapse two weeks ago killed Chinese worker Chen Yinchuan and hurt 10 others. Corbels holding up horizontal beams gave way, a preliminary investigation found. Two workers were discharged from Changi General Hospital yesterday, bringing the number of workers warded there to four, including one in intensive care, said an OKP spokesman.